– ORIGINAL INTERIOR DETAIL – is a wonderful piece of decoration in the living room, bedroom, kitchen, playroom, children’s room. – IMPROVE YOUR HOME’S LOOK – Imagine your Friend’s Faces when they will see Vinyl Art in your House. Make Your Room Modern with the Exclusive Decor. Vivid color combined with vintage vinyl record is something no one is expecting to see on your wall! 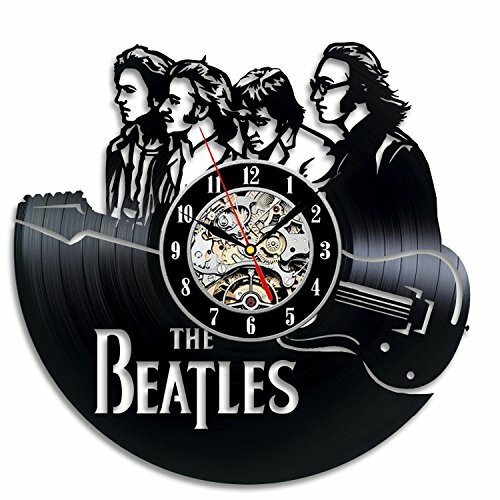 A GIFT HE WILL LOVE – Imagine the look on your friend’s face when he will open the box and find awesome vinyl clock with unique design inside. You don’t need any extra effort to find something MORE than a regular gift! UNIQUE GIFT FOR – Father’s Day, Birthday, Mother’s Day, Christmas and any occasion. Or just surprise somebody without any special reason! 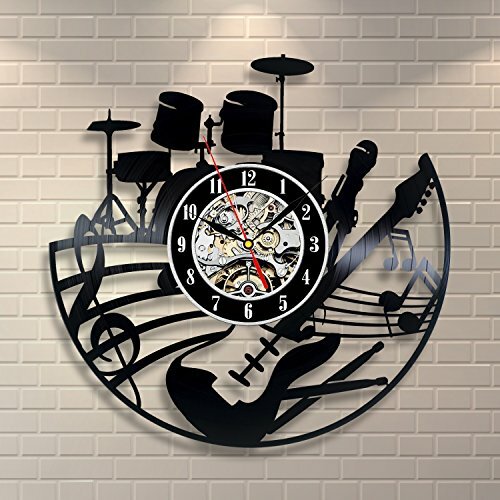 SHOW YOUR CARE – This clock makes an original present for your friends and family, it shows your knowledge about their hobbies and interests, it shows your love! 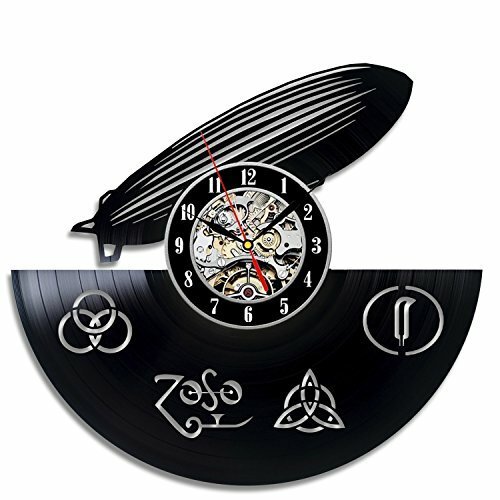 For Led Zeppelin admires! Great gift for a birthday, wedding, anniversary, Christmas. 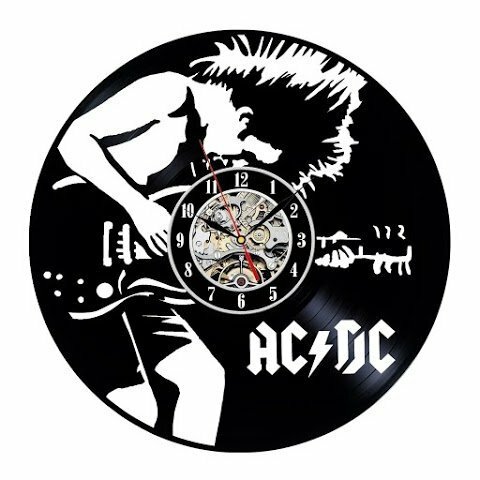 For ACDC admires! Great gift for a birthday, wedding, anniversary, Christmas.